The new Kia Sorento offers performance-ready features like electronically-controlled automatic transmission and Dynamax™ all-wheel drive, while also being family-friendly with a wide array of convenience and safety features for Alpharetta drivers. 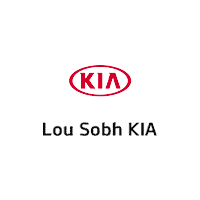 Browse our inventory to find a Kia Sorento for sale at Lou Sobh Kia that fits your needs. Contact us for a test drive when you are ready to experience the Kia Sorento in person, or expand your search to check out the rest of our Kia SUV and minivan inventory or explore the Kia crossover SUV lineup at Lou Sobh Kia near Dawsonville. We can even help you learn fun games to play on road trips! Want to know more? See how the Sorento compares to the Hyundai Santa Fe.